Ann Walter submitted this photo and caption. 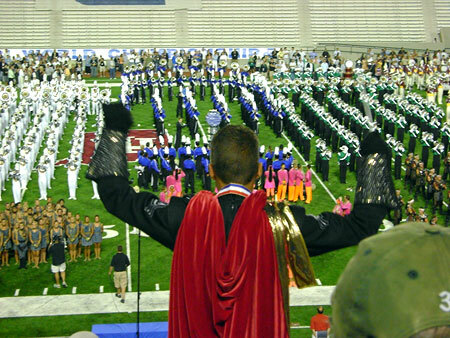 I took this photo of Phantom Regiment's drum major, Will Pitts, directing the corps in "America" at the end of the World Championship Finals on Aug. 9. It was the best Finals night I've been to in 10 years, and having Will conduct from right in front of us just capped it off perfectly.